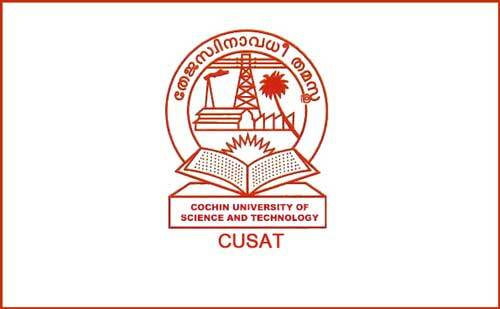 Cochin University of Science and technology (CUSAT) is a government – owned autonomous science and Technology University in Kochi. It has 3 campuses two in Kochi and one in Kuttanad. MBA (Full Time) - Bachelor’s degree in any subject with 50% marks in aggregate. MBA(Part Time) - (i) Bachelor’s degree in any subject with 50% marks in aggregate. (ii) 50% of the seats are reserved for candidates having 3 years of supervisory/executive experience after taking the degree. (iii) In the absence of such candidates as mentioned in (ii) vacancies will be offered to any other candidates satisfying eligibility as per (i). The normalisation procedure of the Scores in MAT, C-MAT and CAT will be decided by the University. Candidates should apply on-line and make the fee payment on or before the last dates prescribed.